‘Bee’s Bliss’ has been available in California for a number of years but only got to Australia about 2012. It is a low growing Californian hybrid which can keep spreading for a few metres as it takes root as it goes. 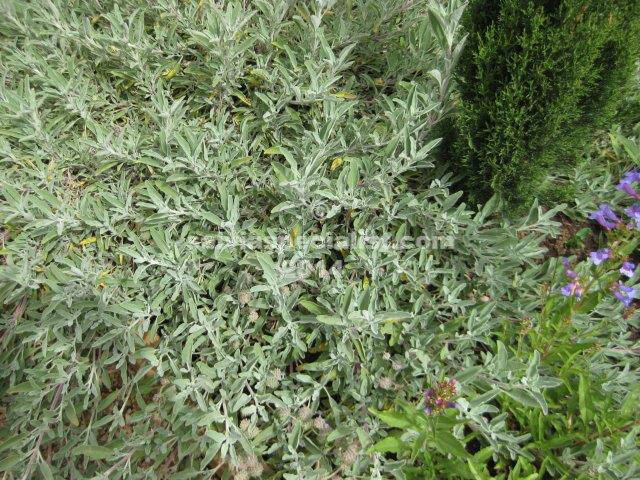 The evergreen grey foliage is the main attraction, the mauve spring flowers are great for bees as the name suggests. Being grey it is not for humidity but is great for cold and dry inland gardens. It is easy enough to propagate. As it is grey it can unexpectedly die off if it is too wet.